Moving houses is an unbearable, if necessary, chore. Everybody hates doing it mostly due to the damages to your property that may occur as well as bodily injuries. 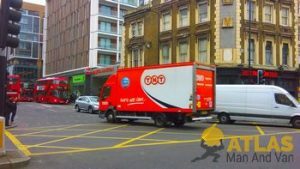 There is little reason to worry about doing it yourself however, since man and van companies in Dalston E8 are rather abundant. There is a catch however and it is in fact a rather serious one, and that us that there is no way to tell if a company has experience or not and if it is as honest or reliable as they claim. We here, however, don’t only talk about being good at what we do, we actively show it to our clients, some of which have worked with us for years. Our motivation and competence in short. We have worked tirelessly for years to build up our reputation and we can safely claim that each and every single good customer review we have received is well earned. Unlike the rest of the companies like ours in Dalston, we take notice of the needs and the desires of our clients, so we can offer them a product that they will enjoy immensely. We have always followed a policy of fulfilling our customers’ desires in E8. You can’t really do man and van work without a man. This is why we have gathered a team of seasoned professionals, for which no job is too demanding or impossible, who will do whatever it takes to complete their work. Contrary to popular belief there are a lot of resources that go in even the most simple of jobs. We have safety belts and straps in our vehicles, as well as the best packing materials in Dalston. They are all nature-friendly. And finally the vans in man and van. 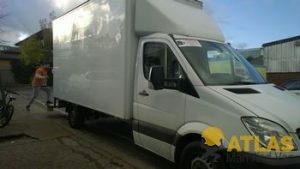 Similar to what we do with the other aspects of our work, we have procured the best lorries and loutons for the safety of our clients’ property. It is beyond simple. Every single client who wishes to take advantage of what we offer can do so by either calling our phone number or using our online booking form, found on our website. For the convenience of our clients (which is our main selling point) we work round the clock, even during the holidays. Our work is always affordable due to the completely individual prices, calculated separately for each job, and we offer full insurance that comes whenever you hire us in E8. Just north of what is the ideal center of London, the borough of Hackney can be found. Within it lies the heavily urbanized area of Dalston. What was originally a small village eventually became an integral part of inner London when the city started growing during the 18th century.